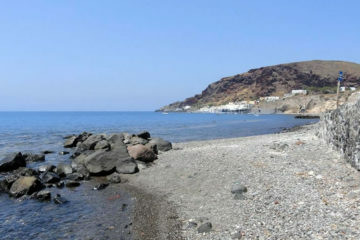 Armeni Beach is a small beach situated in the caldera bay below Oia village, south to Ammoudi. The beach has red and black pebbles with deep blue water. 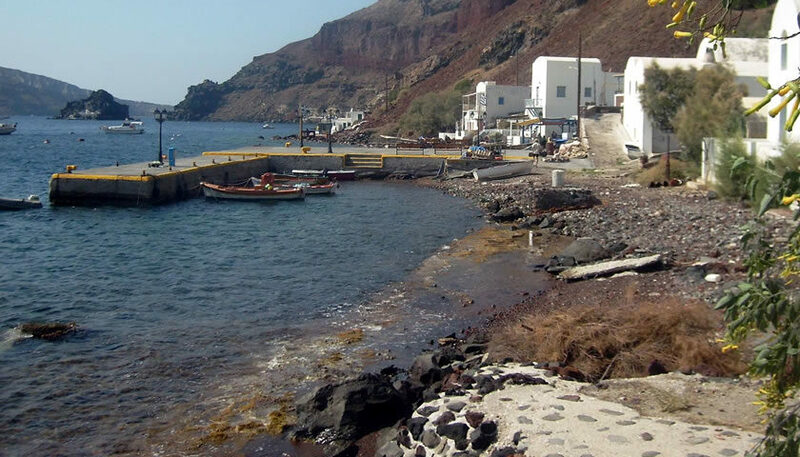 Armeni used to be the harbor of Oia but nowadays only small boats or private yachts anchor there. 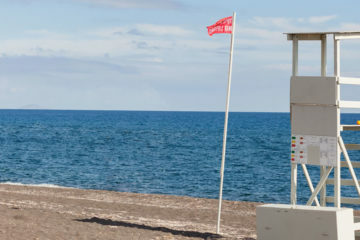 Is is a quiet place where you can enjoy swimming, diving and have a meal in a small traditional restaurant next to the sea. To access Armeni you have to walk down approximately 300 steps on a path that begins at the marble street of Oia or ride a donkey. 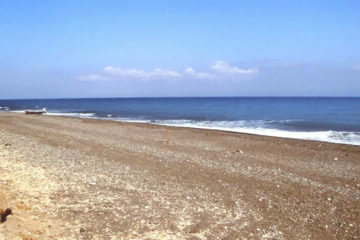 A more convenient way to visit Armeni is by getting a small boat leaving from Ammoudi port.